Glyneva Bradley-Ridout is a recent graduate from the Faculty of Information at the University of Toronto, where she specialized in library and information science. 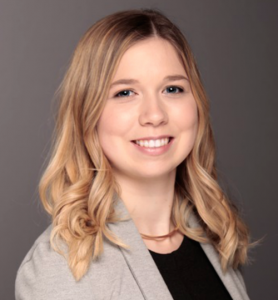 Following graduation, Glyneva worked as an Information Specialist at St. Michael’s Hospital, where she enjoyed a plethora of duties including developing and teaching workshops, creating marketing materials, and partnering with hospital staff on knowledge synthesis projects. On December 1st, 2018, Glyneva began her current position at Gerstein Science Information Centre (University of Toronto) as an Education & Liaison Librarian.